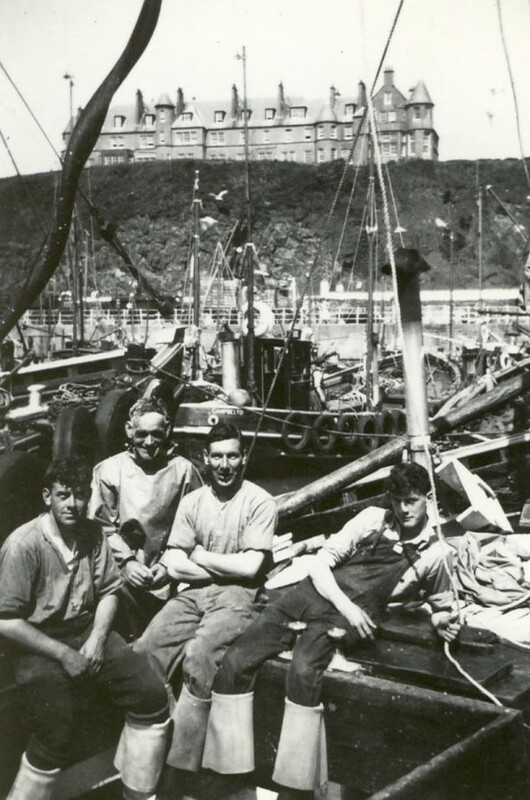 Waiting to discharge in Portpatrick fishing in Isle of Man waters. left; John Skinner,Sandy Skinner.Alic Reid& Alastair Jack. Great picture. What very interesting buildings up above with the rounded pointy towers. Were they houses or some other kind of building? A Fine figure of AVOCH FISHERMEN Just as I remember them OH!When will we see their like again THE FLOWER O;SCOTLAND.AN AVOCH Boat was to be found in many a port!J.Reddigan.2/4/2013/.